When were GMOs first introduced to the food supply? 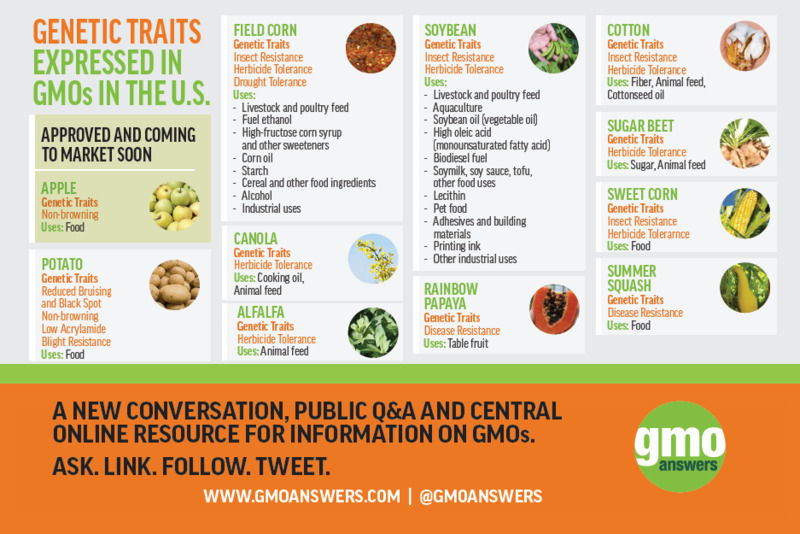 While nearly all foods today have been genetically modified or altered in some way over thousands of years through selective breeding, there are only nine commercially available GMO crops in the U.S: soybeans, corn (field and sweet), canola, cotton, alfalfa, sugar beets, summer squash, papaya and potatoes. These nine are the only GMO crops that are commercially available, but it is also important to note that many of these crops are ingredients in other types of food you may find in your local grocery store.